I’m not a purest, and I can’t tell you this is a truly traditional recipe for masala chai (India’s favourite spiced tea) , but it’s kinda close, and it’s utterly delicious. Making a cup of chai has become a ritual different to coffee making. It offers a heart warming pick-me-up that I find irresistible when I’m feeling flat. I like it strong with spices and sweetened with honey. And now that I make my own spice mix I can never go back to store bought chai tea bags, they just don’t cut it. 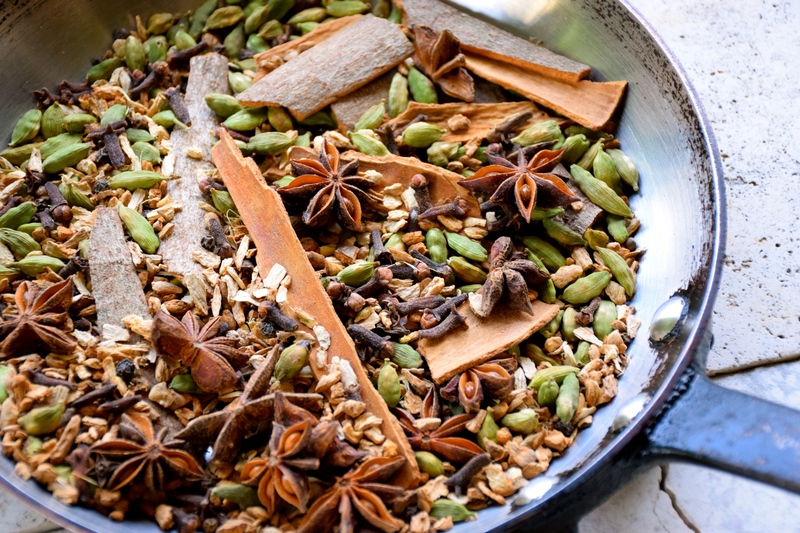 I’ve used cardamon pods, cinnamon sticks, cloves, dried ginger (you could try fresh), black pepper corns and star anise to make my version of masala chai. It can be pounded in the mortar and pestle, but a spice grinder will make quick work of the job. If using a spice grinder keep it to a chunky consistency. This amount will make a medium size jar of the spice mix, which will make about 30 cups of strong chai, or even more cups if you like it a a lesser strength. It’s easy to double or triple the recipe of the spice mix for larger amounts, and it stores well for several months in an airtight glass jar. Make a special trip to a good spice store were you know the spices are fresh. Combine all the spices, place in a pan and roast over a dry heat for several minutes, set aside to cool. 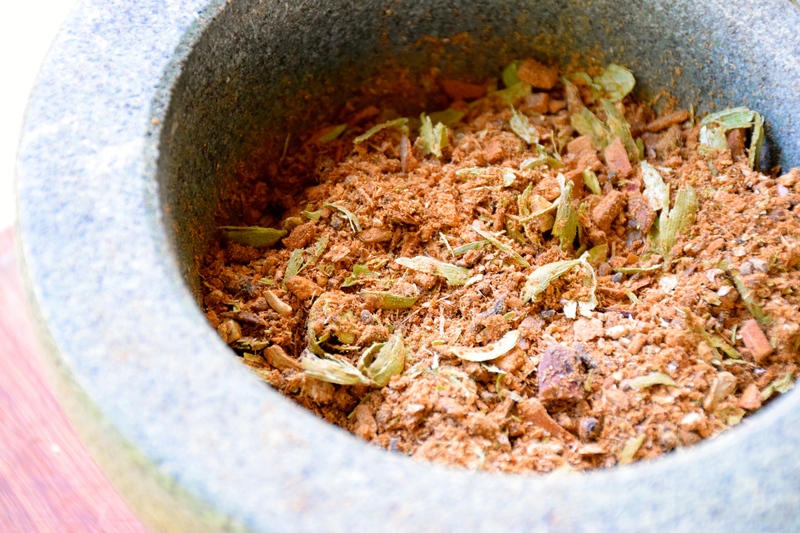 Place the spices in a mortar and pestle and pound to a fine consistency, or use a spice grinder to do the hard work (don’t grind it too fine though). Store the spice mix in a glass jar with a tight fitting lid. Place 1 tbsp of the spice mix in a small sauce pan with 2 tsp good quality black tea leaves. Add 1 1/2 cups of cold water, bring to the boil, set aside to steep for 3 minutes. Place back on the heat, add 1 1/2 cups milk and heat till almost boiling. 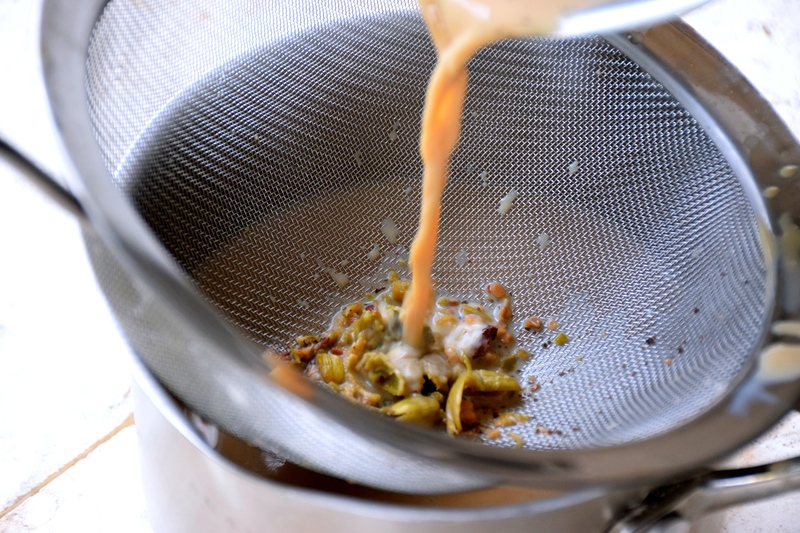 Remove from the heat, add 2 tsp honey, stir till dissolved, then strain the chai through a fine sieve and serve in large mugs. Yum, I’m coming over for some as soon as my physio appointment finishes! Looks fantastic and I like the idea of this being a pic me up rather than a coffee! I am a bit of a chai snob as well…Maybe I will have to start making my own. I just bought one package and was not pleased at all! 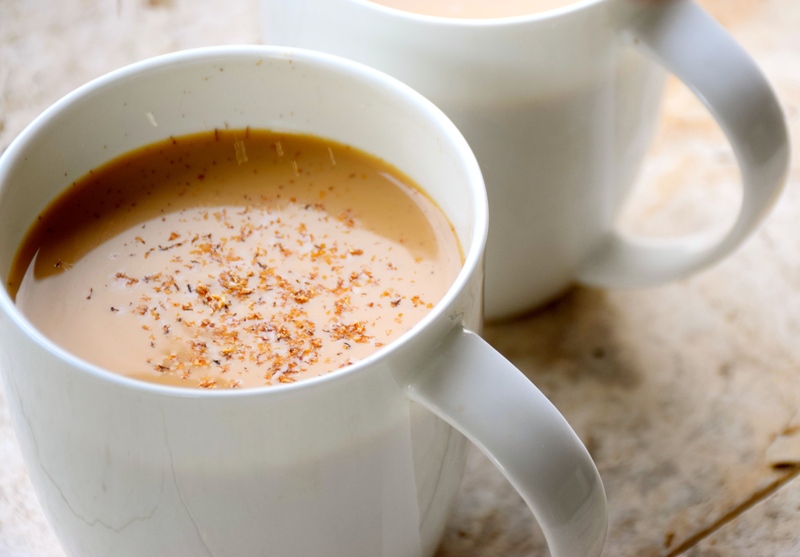 My favorite chai tea that I have had was a Masala Chai from India. Congratulations on your successful event!